I know, it has been a while, and I'm very sorry, once again. I just can't seem to get a scheduling working for me, but I promise I am still trying. Some things are going on with me in my every day life that is making it hard to keep my nail blogger life on track. Fortunately, I'm taking steps to clear up that mess and am working on not taking on as much so I don't get burnt out and miss blog posts for weeks at a time. Enough of that! 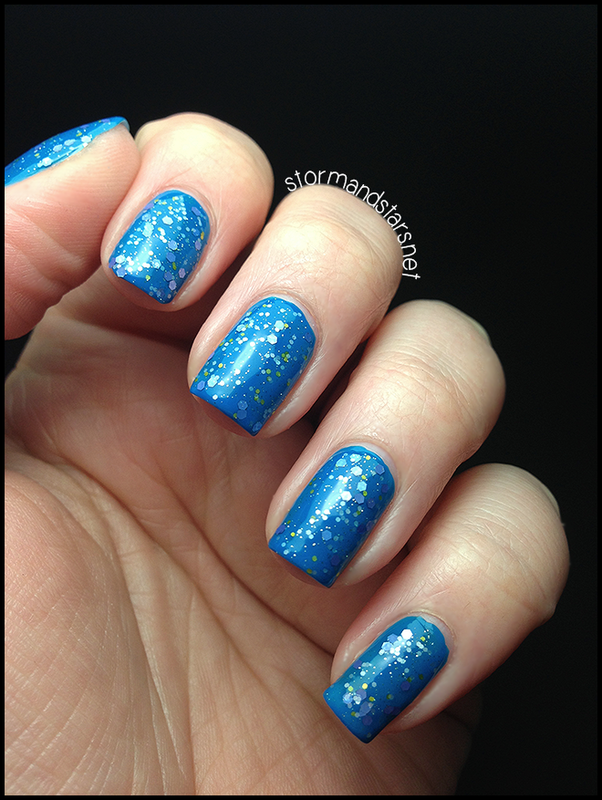 Today I have for you a beautiful glitter collection from Nail Sauce by Feliifel called Springtime In Wonderland that she was nice enough to send me for review! Today is a perfect day to post these because it finally seems like spring is coming here in Boston! I can even feel the heat of the sun coming in through the windows as I type this! Click on Read More for the rest of the collection! Next up today is Tweedle, which is the only other polish in this collection with a colored base. 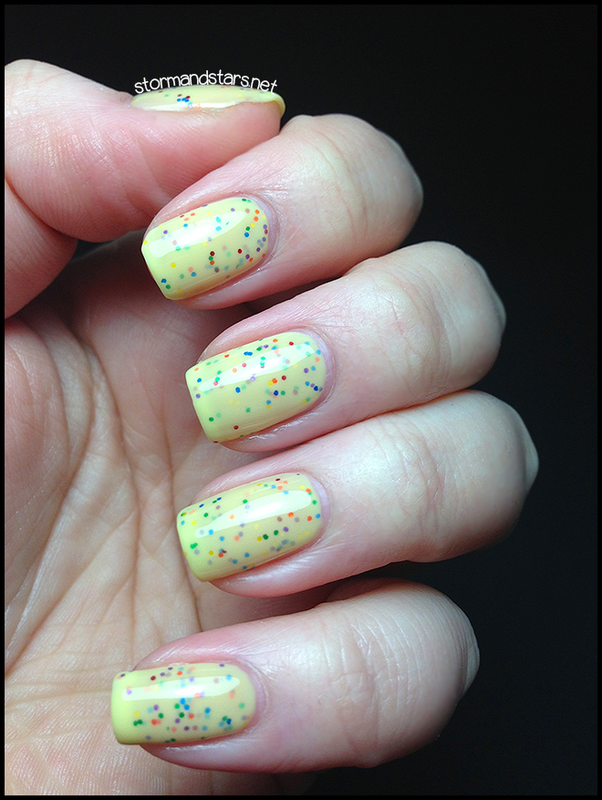 Tweedle is a milky pale yellow crelly base with small multi colored glitters in it. The formula is fabulous and I reached full opacity in 3 coats. All the colors in this are so much fun! I'm just not sure this color works on my already very pale skin tone. Haha. 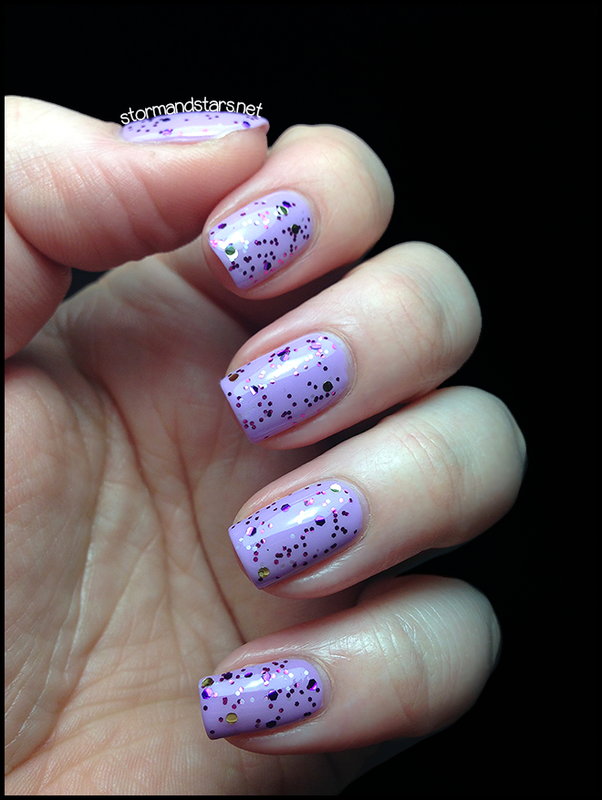 Cheshire Grin is a clear base with a mix of magenta and gold glitter. I love this one so much. Its simple and pretty and will look great over just about anything. The formula is great. 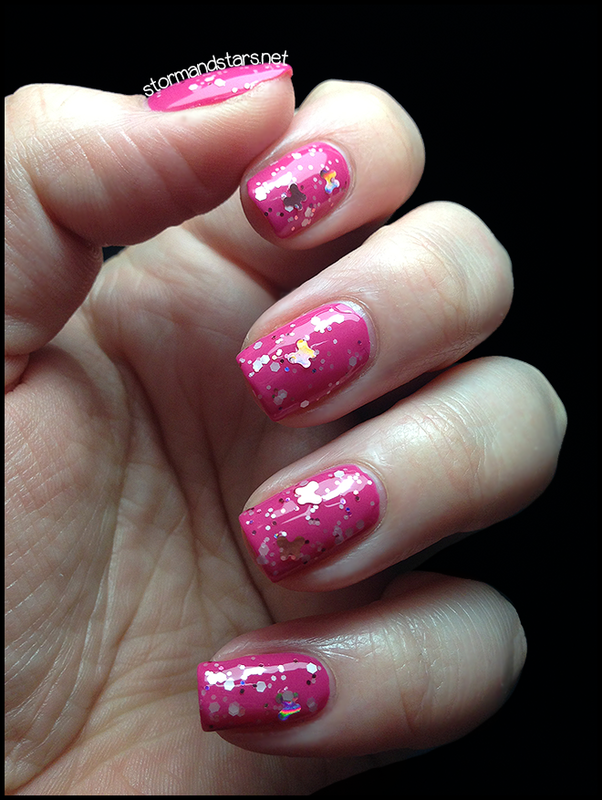 This is one coat of Cheshire Grin over two coats of Sinful Colors Sweet Tooth. I love the next glitter. This is Garden of Chatty Flowers. 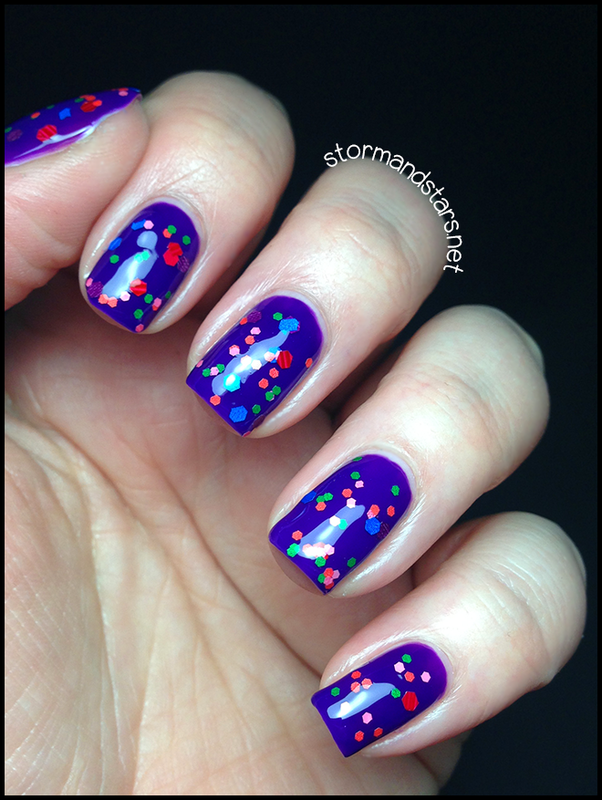 I started with two coats of Cult Nails Bad DN and then added two coats of Spring Flutter. The formula was fine and I didn't have any trouble getting the little holo butterflies on my brush. I can see myself reaching for this a lot in the spring or when I want something super girly on my nails. Mad Tea Party was my dark horse here. I wasn't expecting to love it, but over black it is GORGEOUS! Look at all those multicolored glitters!! 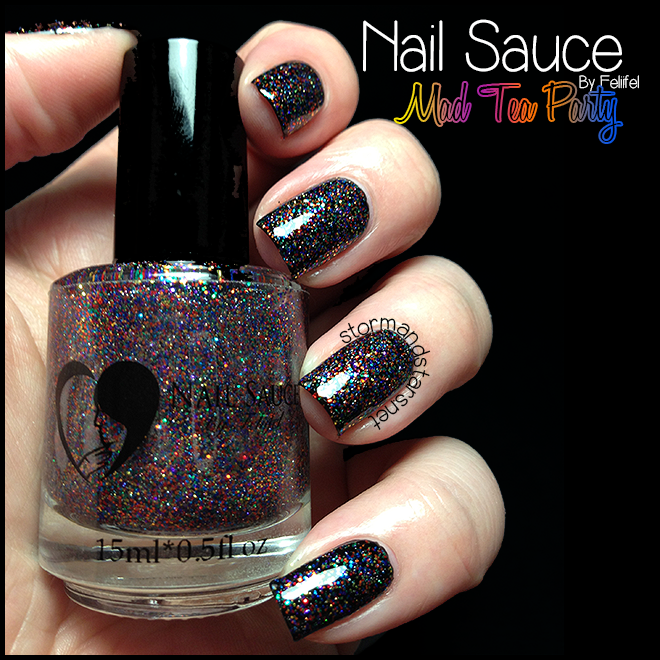 Mad Tea Party is a clear base jam packed with tiny multicolored glitters in just about every color. 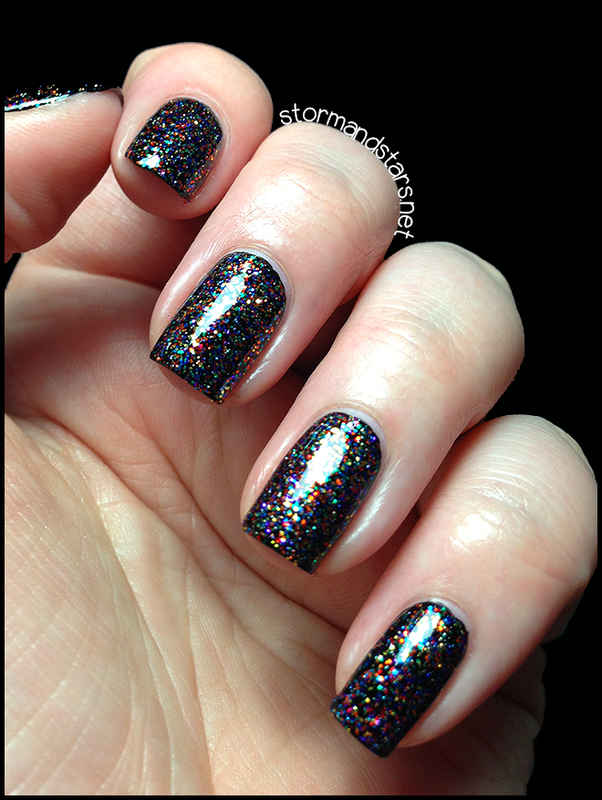 You could easily reach full opacity in 2-3 easy coats, but I layered this one over one coat of Cult Nails Nevermore so the colors would pop against the black background. I added a coat of Seche Vite topcoat to complete the look. Nail Sauce is available at their shop. 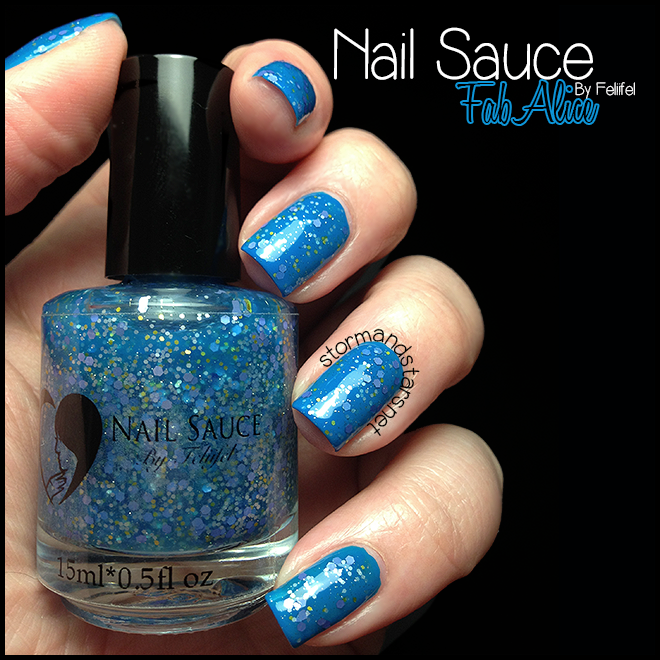 You can also find Nail Sauce on Instagram @feliifel and on Facebook for news and updates. All polishes are available now! this collection is so pretty! for me the last one is my favourite! but i also love the yellow one! Mad Tea Party is so unexpected and cool! Oh my gosh!! These are amazing!! !